An elegant piece of late Mid-Century design by the great Mastercraft in Grand Rapids. Proportionally exceptional, embodying a "pill" shape with rounded ends, although long visually it is quite subtle. 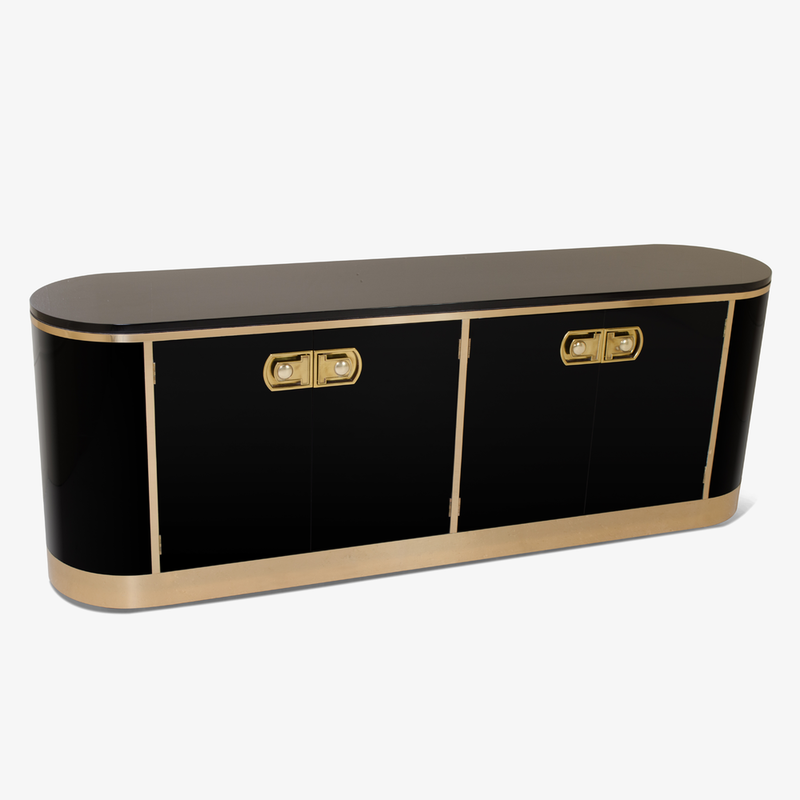 The high gloss ebony lacquer is trimmed with strips of polished brass which also wraps its base. Solid cast brass recessed pulls face each of the four cabinet doors. 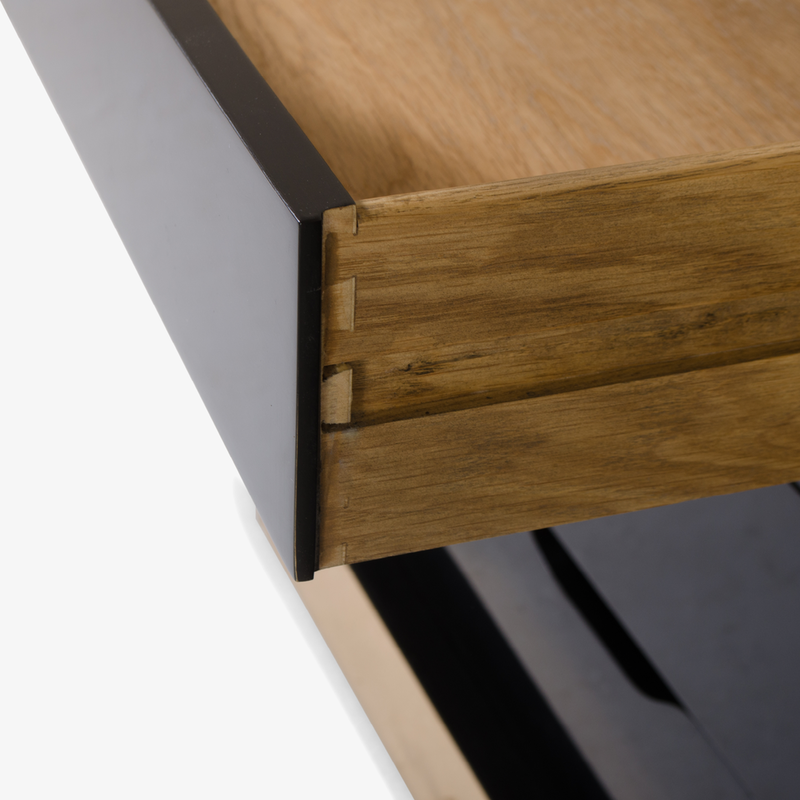 The left storage features four drawers; each faced in lacquer with dovetail construction. The right storage is equipped with a horizontal shelf for top and bottom stowing. Label "Mastercraft, Grand Rapids" still intact. A wonderful piece, truly fitting into any contemporary setting.